OSHA Heat Stress Training – Why You Need It! Heat stress occurs when our bodies are overheated and our internal “cooling system” cannot cool us down fast enough or properly. When our bodies fail to cool us down in intense heat, the effects can be a serious illness and even death. Employees who work outside a lot and in intense temperatures need to complete heat stress training to learn how they can protect themselves against over-heating and prevent heat stress symptoms that can cause sickness and fatality. The OSHA heat stress course from CertifyMe.net can protect your workplace from heat-related hazards and reduce your risk of being fined. Heat stress training is one of the most important parts of an effective overall safety program. This is particularly true in parts of the country with hot summer climates. For these regions, heat stress prevention training is a no-brainer. If you’re not up to speed with OSHA heat stress preparation, your company may suffer severe penalties and fines. What’s more, failure to recognize heat stress symptoms could result in OSHA audits and inspections – not to mention, injured or hospitalized employees! Here’s the bottom line with heat stress training: it never pays to skip training. With CertifyMe.net, you’ll have the OSHA heat stress instruction you and your company need to become compliant – and more importantly, help your workplace become safer and more productive in the process! Heat stroke may be life-threatening and require immediate medical attention. Heat exhaustion at work is only slightly less dangerous than heat stroke. Fortunately, it responds quickly to prompt treatment. Heat cramps occur when fluid is lost and salt accumulates in muscle cells. Heat rash is a common problem when the skin remains hot and wet. If the ambient humidity is too high, sweat will not evaporate. A rash develops that may become infected if untreated. Heat fatigue occurs when people have not taken time to acclimatize to hot conditions. Heat stress symptoms are mainly mental and affect workers in mental, skilled manual or vigilance jobs. The only way to deal with heat fatigue is to prevent it by removing the hazards for heat stress OSHA suggests before it gets worse. All signs of heat stress should be taken seriously. That’s just one reason why OSHA heat stress training is an essential part of your workplace safety program. CertifyMe.net has training programs to explain heat stress symptoms, OSHA rules and regulations, and much more. Heat stress symptoms, things that the person experiences when they have heat stroke, include confusion and difficulty thinking clearly. In extreme cases, they can have a seizure or lose consciousness. Co-workers may notice that the person has stopped sweating, another sign of heat stress. OSHA heat stress training teaches workers how to spot these symptoms and take care of their fellow employees. Symptoms of heat stress and heat exhaustion at work include headache, dizziness, fainting, wet skin, weakness, irritability and confusion. Other signs and symptoms of this type of heat stress are nausea, vomiting and thirst. Lost productivity. Not all heat stress incidents result in medical attention. The period before heat stress includes sluggishness and concentration loss. 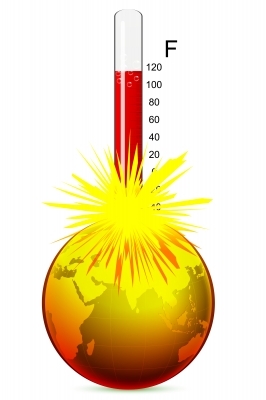 If you don’t have heat stress safety training, your company will suffer from an inefficient workplace. Negative bottom line impact. If heat stress and related symptoms cause your employees to lose focus, you won’t just experience at-risk employees. Your company will ultimately lose profits. Severe safety concerns. Forget about productivity and profit for a moment – the most important reason to invest in heat stress prevention training is because of employee safety. Heat stress is a serious workplace hazard, but it’s preventable with heat stress safety training from CertifyMe.net. OSHA heat stress training teaches workers all about these heat stress symptoms, how to recognize them, and how to help someone who may be experiencing a heat-related health emergency. Who is Vulnerable to Heat Stress? People in certain professions are more at risk for heat stress and heat exhaustion at work, especially those who work outdoors. At-risk jobs include firefighters, construction workers, farmers, and miners. Indoor jobs at risk of heat stress symptoms include bakers, factory workers and people who work in boiler rooms. Workers who are over the age of 65, who are obese, have high blood pressure or heart disease, or who take certain medications are also at a higher risk of heat stress. It is very important that all of your workers receive heat stress training to understand how to help vulnerable employees who may be experiencing heat stress or heat stroke. CertifyMe.net has the OSHA heat stress training to help you recognize symptoms, create favorable working conditions to avoid heat stress, and develop strategies to respond in case of emergencies! Who is Responsible for Preventing Heat Stress for Employees? According to OSHA, all employers should have measures in place to combat excessive heat stress. From warehouses to distribution centers, heat stress prevention training is the responsibility of the employer. If your company lacks a solid heat stress safety training program, or you’re unsure about your role in preventing heat stress, contact CertifyMe.net today. Our heat stress prevention training will show you how to create a safer workspace for your forklift drivers and other powered industrial truck operators. Don’t put off your heat stress safety training and OSHA compliance instruction another day. It’s against the law to have employees without heat stress prevention training and other safety measures in place. Register your company today and let CertifyMe.net guide your heat stress prevention training – our courses will keep the “heat” from OSHA off in the case of an audit or accident investigation! Between 2008 and 2014, OSHA documented more than 100 workplace fatalities caused by heat stress). And in 2014 alone, there were 2,630 heat illnesses and 18 deaths from heat stroke reported. But heat stroke is completely preventable, and heat stress OSHA training can prepare both employers and workers to recognize and avoid heat-related hazards. A common misconception is that heat stress or heat stroke can only occur outdoors. That’s false; many cases happen in air-conditioned environments. Be prepared with heat stress training – sign up with CertifyMe.net today! According to the General Duty Clause, Section 5(a)(1) of OSHA, employers are required to supply their employees with a safe working environment that is “free from recognizable hazards that are causing or likely to cause death or serious harm to employees.” Employees have the right to a safe workplace that does not cause heat-related sickness or death. And employers have a legal obligation to ensure this environment. What Equipment Can Prevent Heat Illness and Heat Stroke? In addition to worker OSHA heat stress training, heat illness and stroke can be prevented with the proper equipment to aid in heat relief. These systems include general ventilation, air cooling systems, local air cooling for specific areas, and heat conduction blocking. What Personal Protective Equipment Can Help Prevent Heat Stress? Workers should wear reflective clothing that covers the worker from neck to feet as it protects a worker’s skin from sunburn and serious injury. To prevent heating under the clothing, it should be worn as loosely as possible and may allow for auxiliary cooling systems to be worn underneath. Additional equipment that heat stress OSHA guidelines suggest includes body cooling ice vests which are worn underneath clothes; wetted clothing Terry cloth coveralls and whole-body cotton suits; water-cooled garments such as hoods, vests, and long johns which require batteries to operate; and circulating air which consists of compressed air being circulated around a person’s body. What Are the OSHA Heat Stress Recommendations for Preventing Heat Illness? It is important for workers to first acclimatize themselves to the heat before jumping into a full day of work at a new jobsite. Workers also need to remember to replace their bodily fluids that they are sweating out with cool water every 20 minutes or so. Cool water should be provided close to the work area and under shade to keep cool. Workers can also prevent heat illness by reducing their physical demands during the work day. Employers need to provide workers with recovery areas with air-conditioned systems to cool down and rest to prevent heat exhaustion at work. And if a day is looking too hot to work, employers should reschedule projects for another day. Finally, everyone on a job site can do their duty to prevent illness and heat stroke by monitoring fellow workers and immediately announcing their concern if they notice any dangerous heat stress symptoms. The heat stress training from CertifyMe.net provides workers with everything they need to help prevent heat stress and heat stroke from affecting their workplace. Employers also benefit a great deal from this training because, not only does it keep OSHA away, but it helps keep your workplace productive and on schedule. As you can imagine as an employer, it’s vitally important that you comply with all OSHA heat stress rules and regulations. Doing so will keep your workers safe and your workplace safe from costly fines and potential legalities. But, you might be thinking that to comply with all OSHA standards and to supply your employees with heat stress OSHA training that meets the above requirements, it must be expensive and a hassle. With CertifyMe.net, that couldn’t be further from the truth. With our convenient online program, your entire workplace will receive easy access to the heat stress training modules you need to be 100% OSHA compliant and prevent heat-related illness and fatalities. Accessible 24/7 from any device with an internet connection, our online course is easy and simple to complete from home, at work, or at a coffee shop. You won’t have to sign up for an in-person class and cover time-off and travel compensation costs for your workers. Simply have them create their own log-in account, and they can work through the modules at their own pace, on their own time. All of the OSHA heat stress information they need will be delivered to them in the most efficient way possible, including heat stress symptoms, how to prevent heat exhaustion at work, and how to recognize and avoid heat-related hazards. Contact us today for information about our new Heat Stress Training course. If you’re ready to move forward with your heat stress safety training program, sign up today! For any questions about our OSHA compliant training courses, call us today at 1-888-699-4800. Thanks for visiting CertifyMe.net!